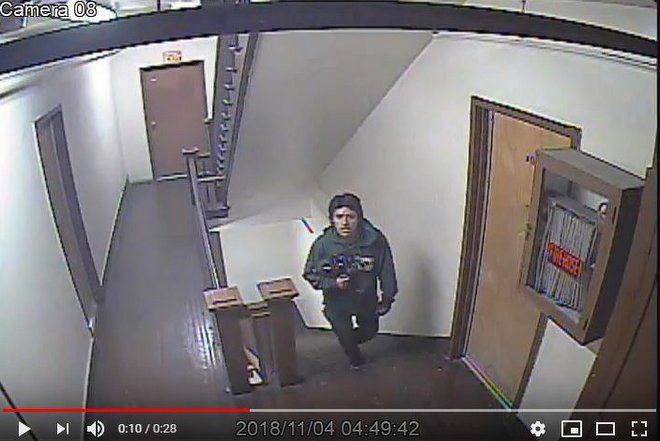 Echo Park — The LAPD is asking the public to help find a man who used a fire escape to enter a woman’s bedroom and sexually assaulted her earlier this month. The assault took place on Sunday, Nov. 4 at about 5 am as the woman was sleeping in her apartment in the 1800 block of Sunset Boulevard. The suspect — described as a clean-shaven, male Latino with black hair and brown eyes — was wearing a green jacket with an unknown logo on the front, dark pants, and black Adidas shoes, police said. He was 5-feet 5-inches tall, 150 pounds, and is between 19-25 years. Anyone with information is asked to call the Robbery Homicide at (213) 486-5910.